Admin: Name of operator corrected in heading. No because it's probably not for sale. Have you thought to ask them where it is advertised for sale? If 'someone that works there' doesn't know, what makes you think the rest of us would know? 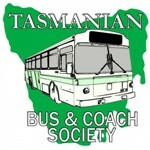 For information on buses for sale, have a look here. Are you interested in buying a old cresswell hino? you will not find it on any website. It MAY show up in the next four months.